Domine Trail - VHT - Victor N.Y. 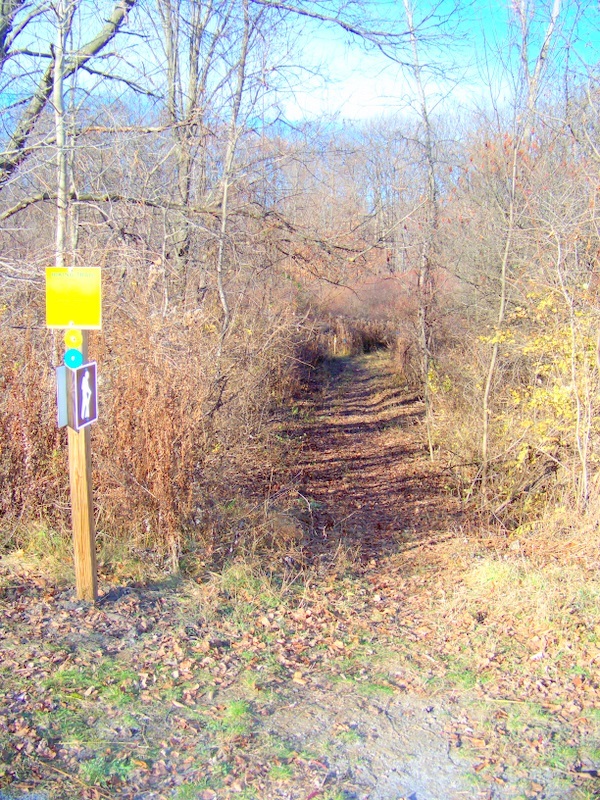 These are a set of 3 short connection and loop trails from the Lehigh Trail between Wangum Rd (CR42) and Phillips Rd to the Auburn Trail between Fishers Main St and Phillips Rd. It is blazed in yellow on the west side, blue on the east, and (as of May '16, in progress) red on the far east and north. A bridge built in October 2011 by VHT volunteers connects to the Auburn Trail. These are narrow walking trails mostly in the woods. 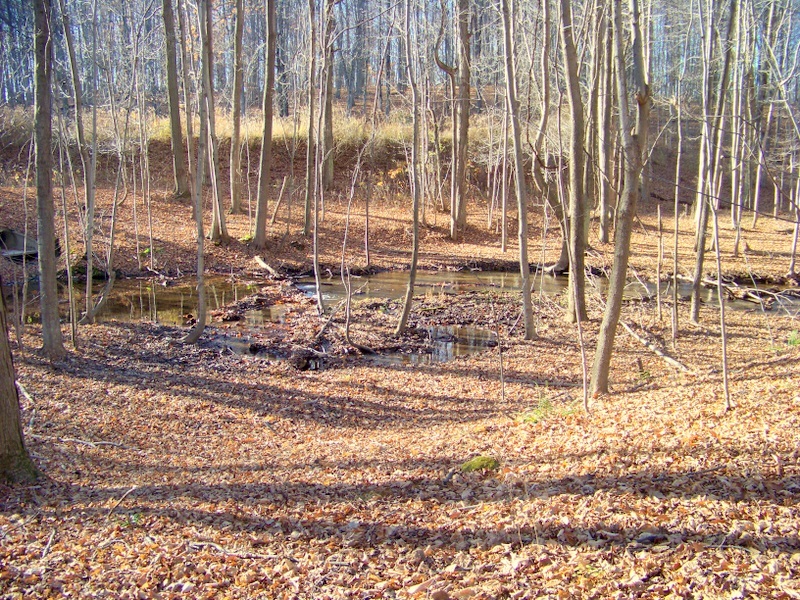 The southern end is the Lehigh Trail. A short ways in, there is a division. The yellow blazed western section is to the left. The blue blazed eastern section is to the right. The two branches come back together just before approaching the Auburn Trail. 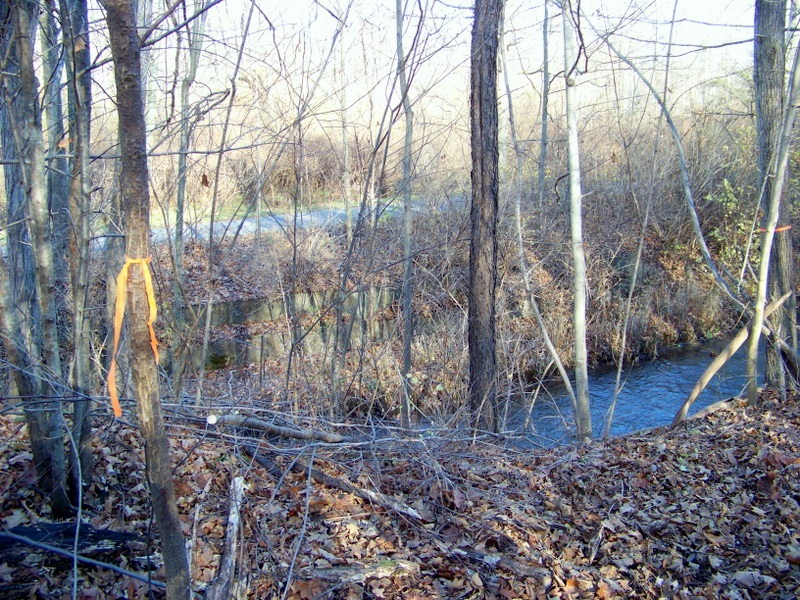 The yellow blazes lead to a bridge over the East Branch of Irondequoit Creek to connect to the Auburn. 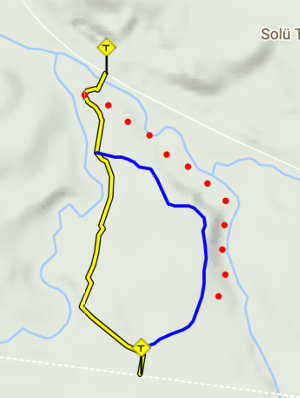 The yellow section is mostly smoothly pitched and follows a small stream, while the blue has a hill which overlooks another stream. The blue trail again branches with the red blazed trail off to the right to follow the eastern stream and the bigger East Branch. It rejoins the main yellow trail before the bridge.